← Green Coffee to the Rescue? 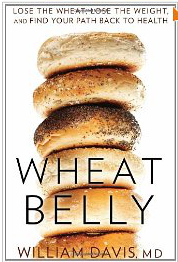 I’ve been a long-time follower of Dr. William Davis’ blog, and the proud owner of a copy of Wheat Belly, but to me, his stuff is mostly “preaching to the choir” since I gave up wheat over a decade ago — long before Wheat Belly was written. 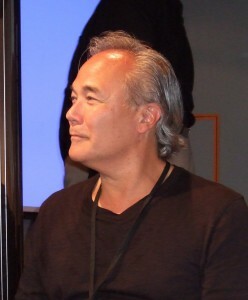 I experienced a number of immediate health improvements, the most dramatic of which was a disappearance of chronic debilitating hand pain which had caused me to abandon my violin for over 5 years. Since I don’t really need any convincing along those lines, I sometimes don’t get around to reading the Wheat Belly Blog right away whenever there is a new article posted. Lately, I’ve been getting a bit behind on my blog reading, anyway. So, I just got around to reading “Brainless Grain” today, which was posted 3 days ago. The article itself was mildly interesting (as I said, I’m a “choir member”), but the comments on the post were much more so! Turns out there is another phenomenon that I have noticed in the last decade that I did not associate with wheat. Ear wax, of all things. I used to have lots of problems with ear wax. I recall going to my family doctor back in the early 1980’s with a “stopped up” ear, and having him pull out a plug of ear wax the size of the last joint of my little finger. I started meticulously cleaning out my ears after that to prevent that sort of thing from recurring, and would usually scrape out a small orange glob from both ears every day. But in the last 12 years or so, my ear wax problem has essentially gone away. About a year ago, my audiologist told me I had a small accumulation of wax up against the eardrum in my right ear, and I used some ear wax removal rinse for a few days, but that’s the only time in the last decade I can remember even noticing any significant wax buildup. I still swab my ears out on a regular basis, but generally see a little smear of wax on the Q-tip only about once a week. So it was an interesting experience to read the comments from several others on Bill Davis’ blog about the sudden disappearance of excessive ear wax problems upon the elimination of wheat from the diet. Interesting that I still keep noticing changes that might be linked to the elimination of wheat from my diet in 1999. This entry was posted in Book Reviews, Fitness, Health. Bookmark the permalink.